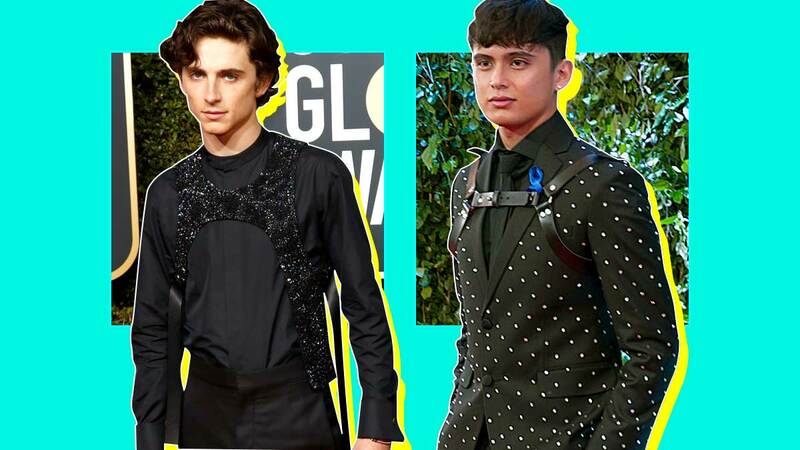 Say what you want and turn him into a meme all day long, but James Reid proves that his Bang Pineda harness worn at last year's ABS-CBN Ball was a stylish and fashion-forward choice in the men's fashion scene. Just take a look at French actor Timothée Chalamet—remember him from "Call Me By Your Name"?—whom we spotted at the red carpet arrivals of the 76th Golden Globe Awards clad in Virgil Abloh's Louis Vuitton. Timothée wore an all-black ensemble that is polished off with an embroidered bib, according to the brand, that's similar to James'. As seen on the two actors, attending events in plain suits isn't in the cards and simply amping up the belt and shoe game just won't cut it. To add edge and a rather interesting dimension to the ensemble, a body harness seems to be the answer.